So, making the rest of us completely jealous, my sister Allison from Milwaukee Ghosts got to go to Hawaii this summer to visit some family and bask in the perfect weather. But we sent her on a mission, that if she got to go to paradise, then we were going to get some ghost stories and a podcast out of her. 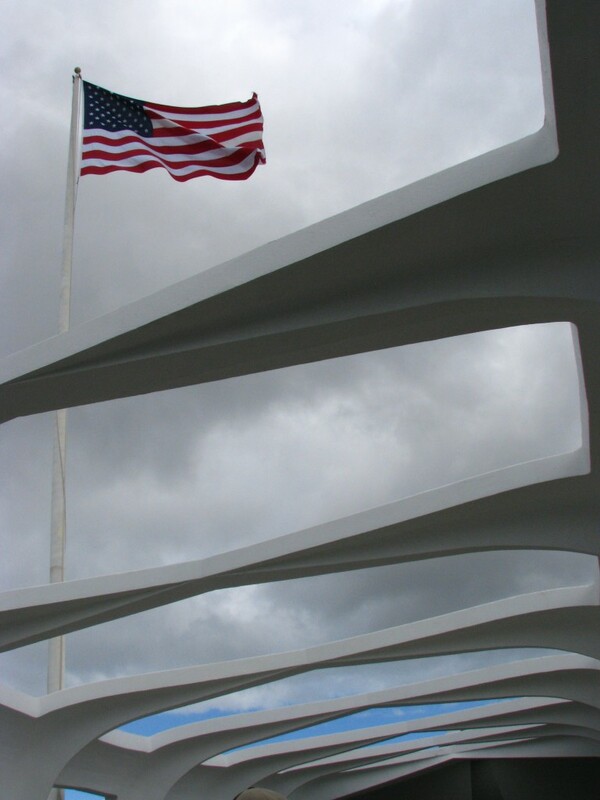 And we didn’t even have to threaten her, she did her duty and visited some of Haunted Hawaii’s most interesting sites. 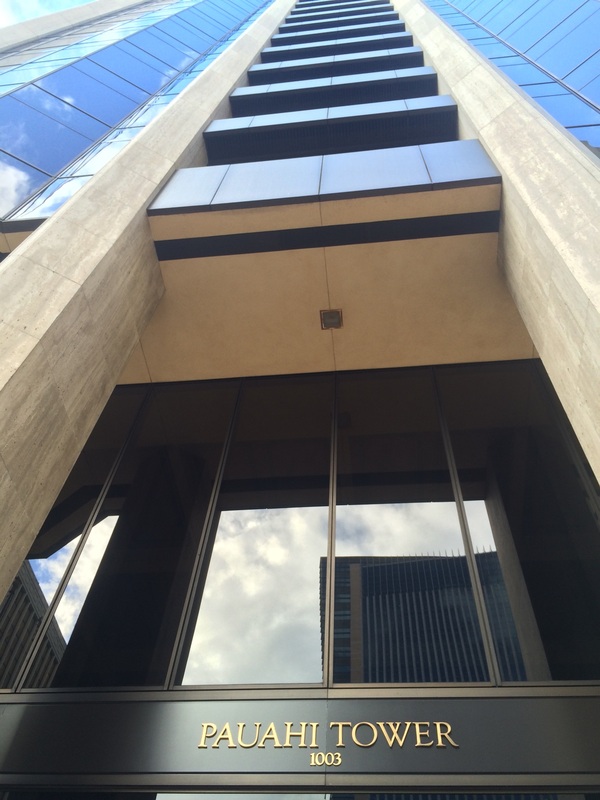 The first story she gets is from our family member, Laling, who gave us a haunted tale about the Pauahi Tower. She herself had a strange experience one night there hearing children playing outside their door late at night. And when she went out to see, there was no one there! Later, her experience was validated by someone that knew the history of the tower, knowing that it was a playground before the tower was built. Then she goes on the Mysteries of Hawai’i ghost tour with Lopaka Kapanui (a tour that she loved so much that she went back on a private tour with him a couple days later, so it comes highly recommended and we’ll probably have to have him on the show sometime because he sounds like a fascinating guy.) 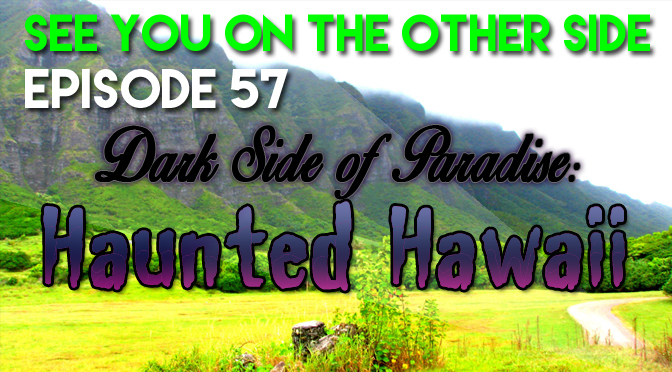 We get Lopaka himself to tell a story about fishermen that caught a mysterious naked woman who might have been a legendary Hawaiian lizard goddess. 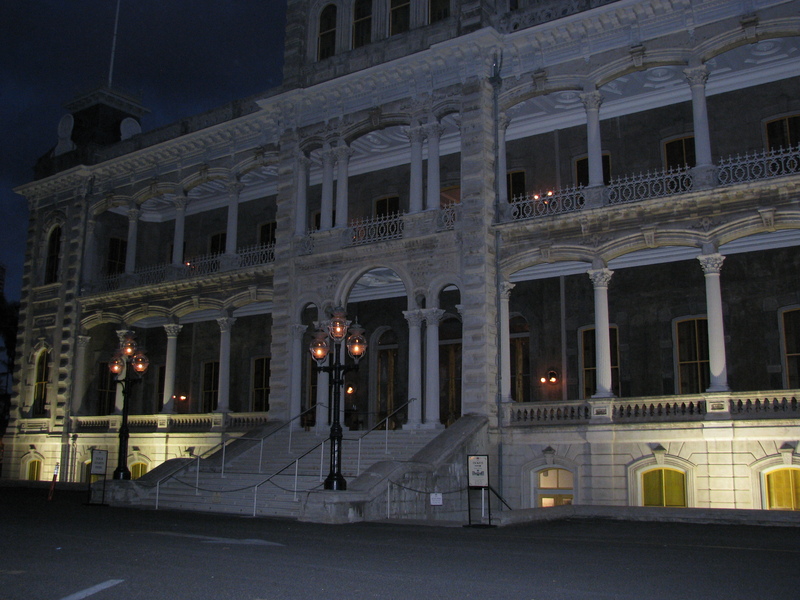 One of the stops was the Iolani Palace, which is the only place in the United States that was ever an official royal residence. Ain’t no way the Professor could have ever made something like this! 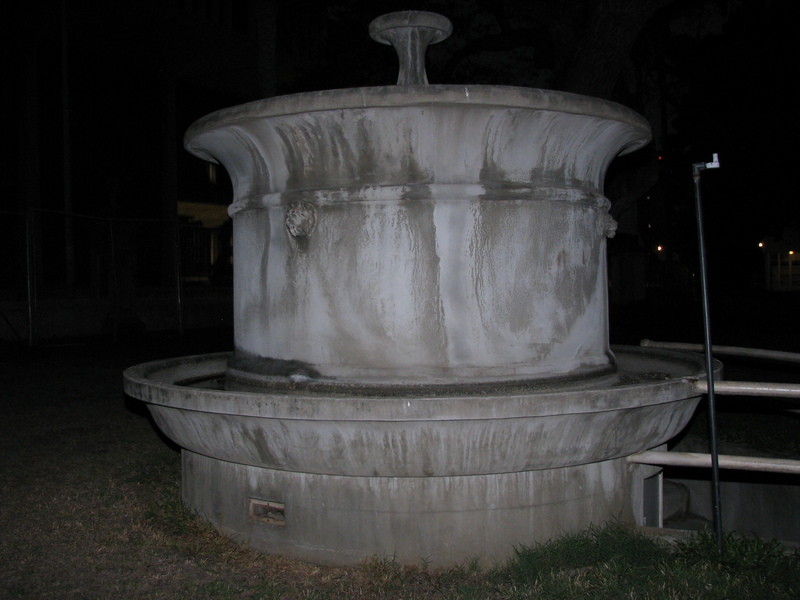 While the building itself was magnificent, what intrigued Allison most was a well that was said to have been the residence of a calling spirit. If you hear a female voice and see a hot naked woman by this well, DO NOT FOLLOW HER, trust us on this one. Well, that takes us back to our episode about the Smiley Face drownings in La Crosse, Wisconsin and our interview with the makers of the Hidden Truth film, who had researched native calling spirits of the water that according to legend, used to lead young men to their deaths. Of course, this reminded Allison of an episode of Kolchak: The Night Stalker as well, that dealt with the Hindu demon, Rakshasa, which in the episode disguised itself as a person’s friend to lead him to his doom. Also, if you haven’t checked out Kolchak, it’s a delicious bit of 70s television horror-comedy that is still worth your time after forty years! Later they went to a cave of a shark spirit with Lopaka, and Allison had her first visual unexplained experience. He sang to the spirit of the cave and he said it told him they had five minutes to spend there. When she saw a flash across the cave, she herself didn’t believe it until Lopaka mentioned to her that he saw it too, so the trip was extra magical for Allison because unlike some of the people we interview on this program, we don’t regularly see ghosts, spirits, or unexplained things, so anytime we can chalk up something to the unknown, that makes it extra fun. 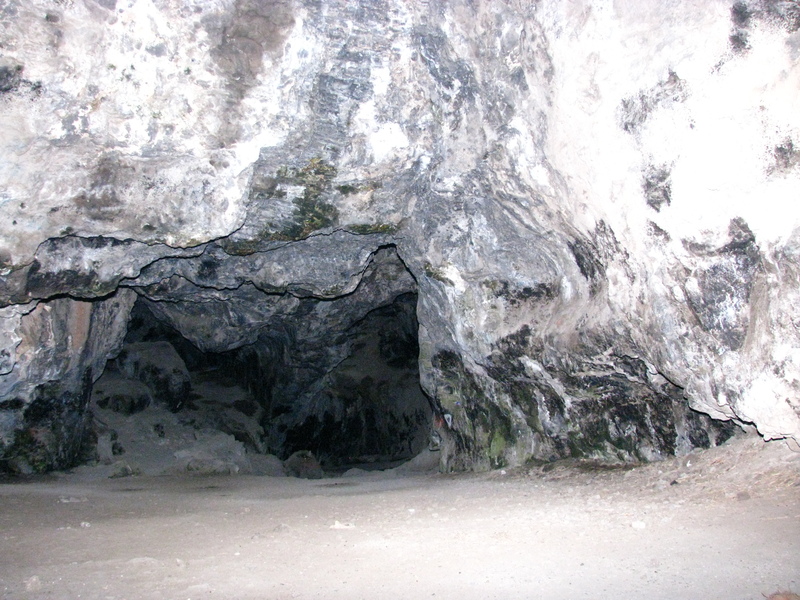 Plus, her husband’s camera ran out of battery way too fast in the cave and wouldn’t work. It’s often rumored that spirits might not be powerful enough to make us feel or see them, but they might be able to affect energy levels like battery power or electronics. Allison tells of a story where her projector wouldn’t work earlier this year for no discernible reason (and I can attest to that because I set the projector up the night before) at a haunted American Legion Hall where they moved some servicemen’s pictures to make room for a projection screen. It never had happened to her before that (but it happened to me in Merrill, Wisconsin with my video camera a few years ago) so she hadn’t believed other people’s stories about mysteriously draining batteries, but now she does. 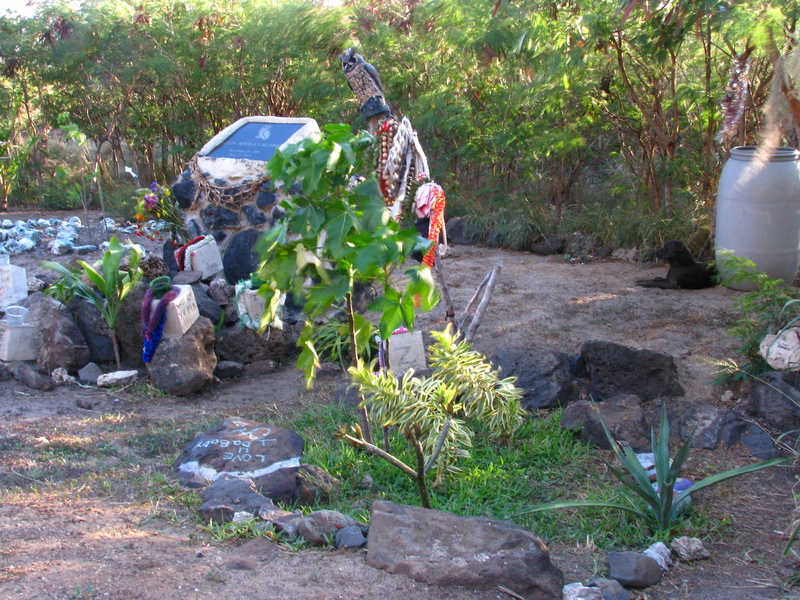 Of course, Allison visited some places where they filmed LOST and Jurassic Park, but she was more interested in the monuments to the dead that they saw throughout the island. Piles of black and white stones are littered all over the place and it’s in remembrance of passed-on relatives and friends. Which one is for Jacob and which one is for the smoke monster? 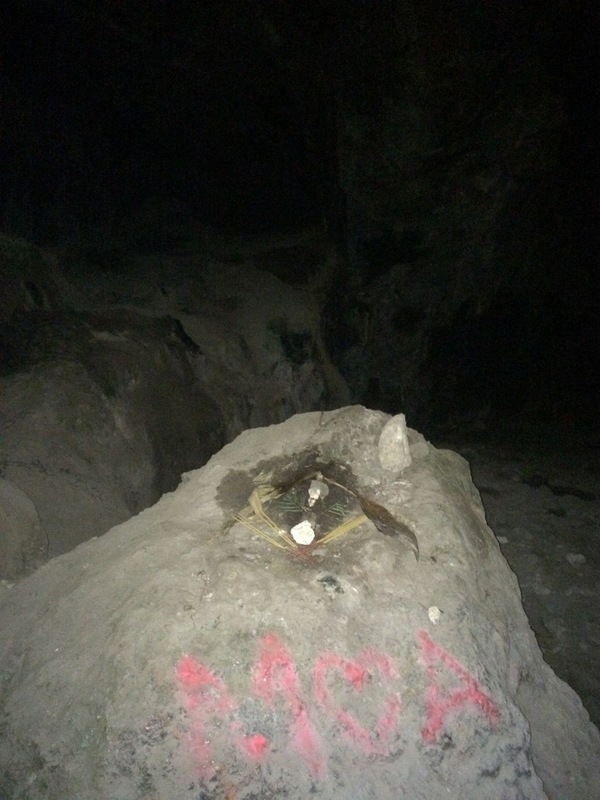 The one that garnered the most of her attention was a memorial to a 17 year old that had passed away and seeing all the memorabilia laid out at the site to remember him. She hadn’t seen anything like that before and found it unique and touching. But the most interesting thing was the dog who was completely silent and still sitting and watching over the memorial. Allison said that she didn’t even notice him for several minutes as she was studying the monument. She said that he was the guardian of the place. Maybe not quite paranormal, but still pretty cool. And speaking of dogs, Hawaii has it’s own bipedal canine, just like we talked with Linda Godfrey about in our American Monsters episode. Allison and Scott went on a “Orbs of Oahu Ghost Tour” and while if you know me, you know I think that “orb pictures” are just tricks of the light and not spiritual, she said they had a good time on the tour and learned some scary stories of a Hawaiian Dogman. There are modern reports of people seeing a dog eating roadkill at the side of the road and they think it’s a normal pooch, until it stands on its hind legs! 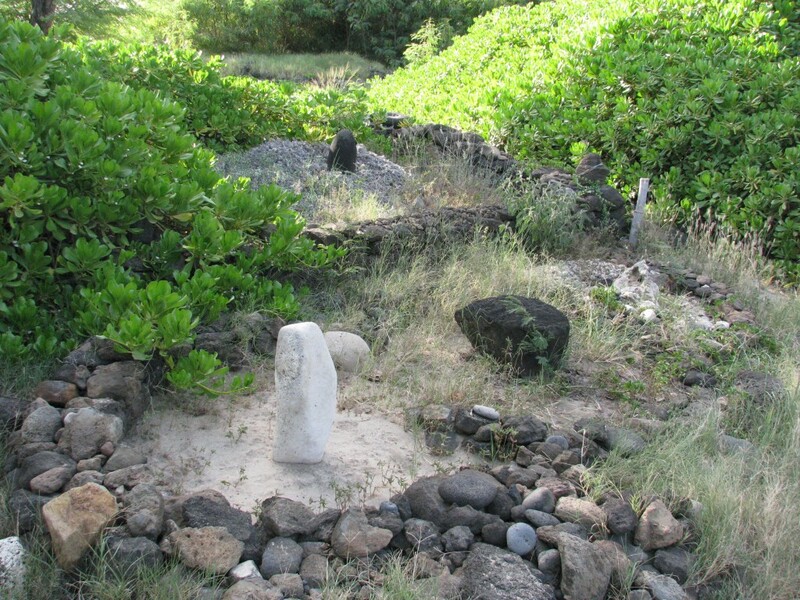 The legend is that it is Kaupe, an ancient cannibal whose spirit is cursed to roam the island of Oahu and has the body of a man with the head of a dog and sharp claws. 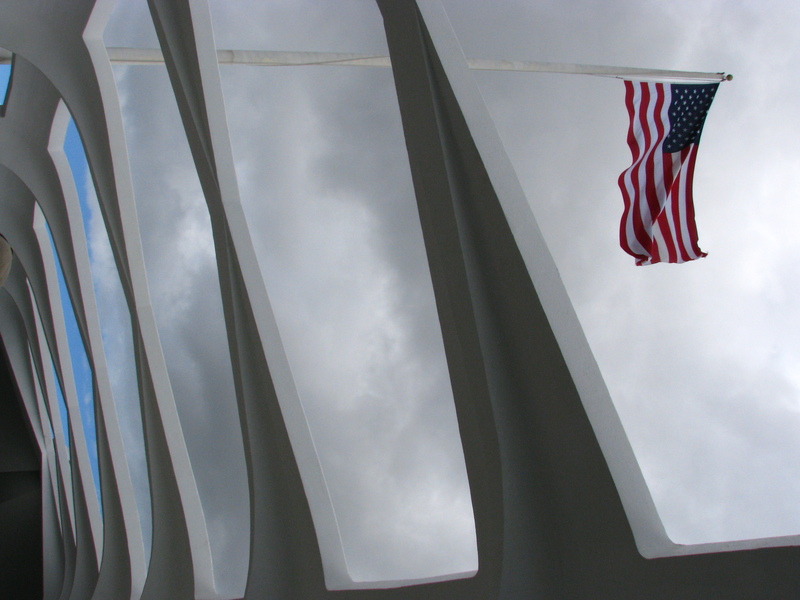 The last place that Allison visited was the USS Arizona Memorial in Pearl Harbor, a solemn place where there are still scores of bodies of sailors still under the water in the wreck. Allison and her husband, Scott talk about their impressions of the site while they visit and they talk about the drops of oil from the wreck that still bubble up to the surface of the water. Do you see a face in here? 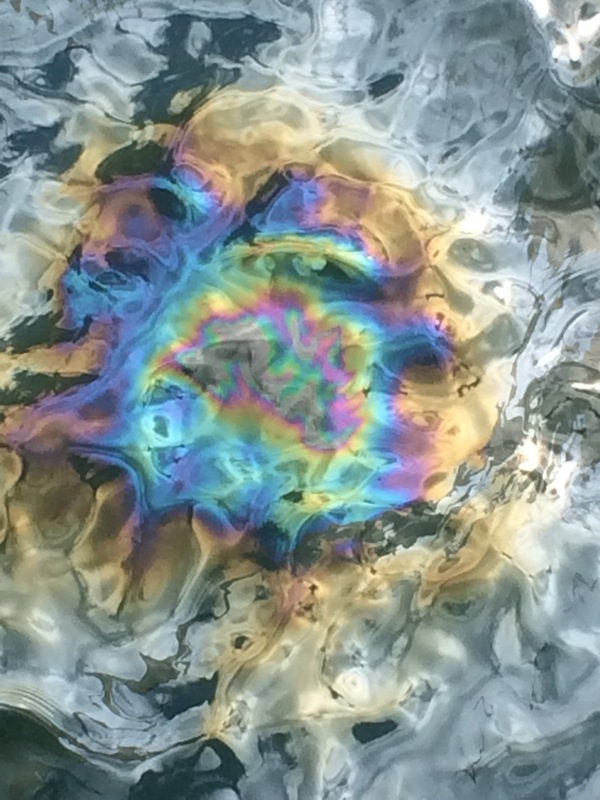 That’s Allison and Scott’s picture above, but a few years back someone took a picture of the oil there that they said formed a face. Here’s the famous picture that turned up a few years back. Now, is that just Pareidolia (the human tendency to see faces in patterns, like clouds, walls, stones, etc…)? Or something more, we’re not sure. But it does remind me of a New Twilight Zone episode called “Something In The Walls” that was my first introduction to the phenomena, and it scared the crap out of me when I was a kid! Have any stories of Haunted Hawaii? We’d love to hear them, post in the comments below if you have your own tale of the supernatural from paradise. 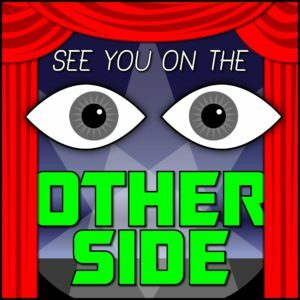 The song this week is related to the calling spirits that Allison talks about. There’s always someone who you never want to hear from because you know it will only lead to disaster. Listen to “The Call” by Sunspot. and the tune is getting old. This ain’t the first time I’ve been lied to since I walked in the door . And you know just how this story goes. and you’ll be bleeding on the floor by the end of the night. this fixer-upper is a money pit.